I’m sure my husband gets tired of being dragged through old cemeteries, museums, and historic sites while I conduct my research. 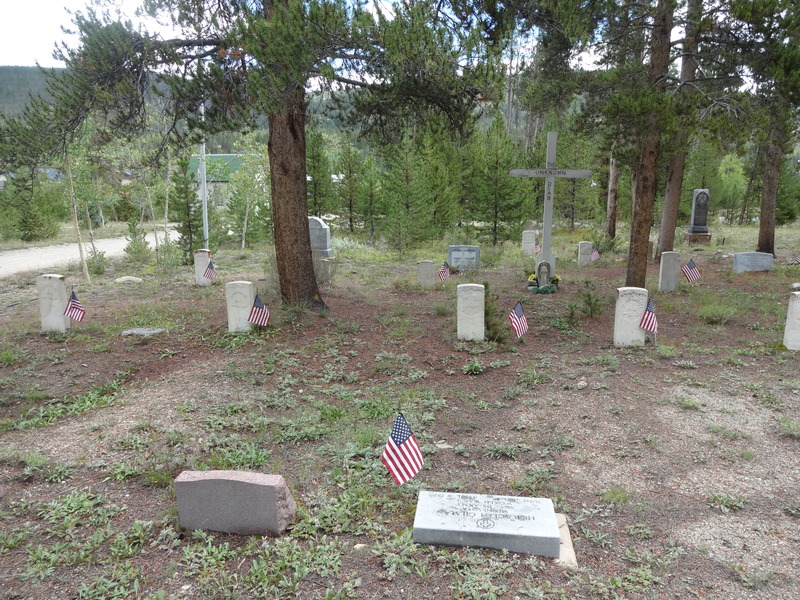 On a recent trip to Breckenridge, I insisted that we check out an old, out-of-the-way cemetery located off Airport Road on the east side of town. 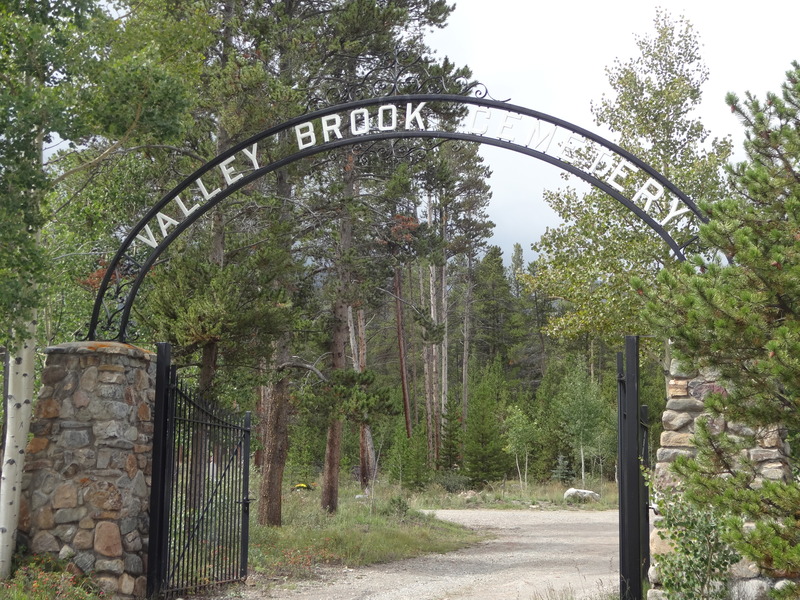 Valley Brook Cemetery is serenely situated at the foot of a mountain. At first inspection, the cemetery looks like it has been neglected, because pine trees and native wildflowers cover the ground and encompass the headstones. Many graves are surrounded by old iron-wrought fences, which was the style during the Victorian period. 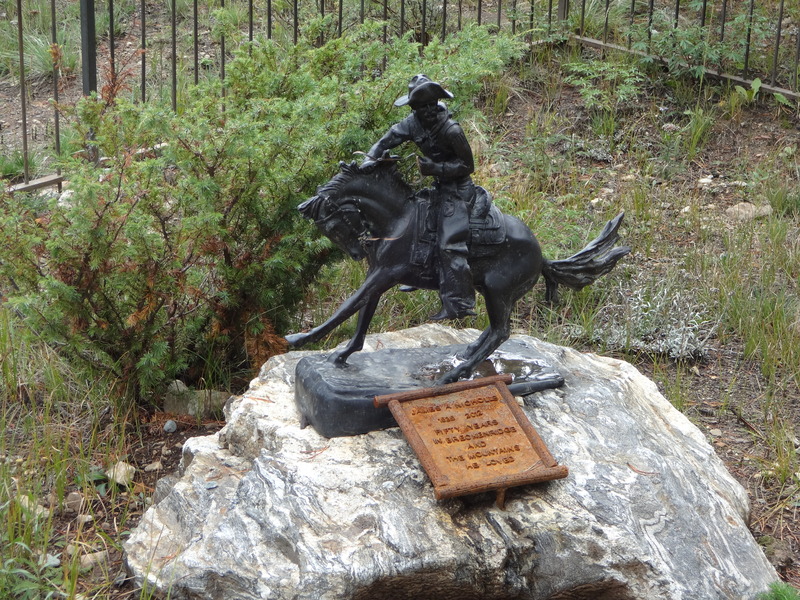 I found one grave that had a unique, bronze cowboy for a marker. While wandering around, I discovered several Union soldiers’ graves adorned with small flags. I couldn’t find any Confederate graves, however. As we departed the cemetery, we noticed that there was only one other person there. We drove over to him, and I asked the man if he worked there. He said he volunteered, and proceeded to tell us how he has set up a website to document all of the graves in the cemetery. He has also taken it upon himself to list the graves of other cemeteries around the region, including an old one in Leadville, which does contain some Confederate soldiers’ graves. I will write more about these cemeteries in the blogs to follow. Thank you, Mr. Jack Box, for your helpful information.